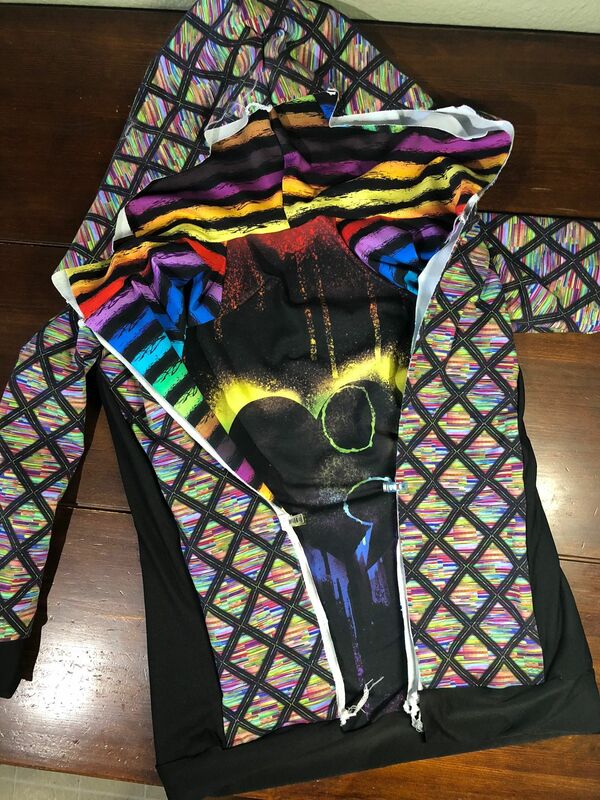 I'm really excited to be sharing with you all how I lined the zipper version of the New Horizons Designs Summit Peak Hoodie. 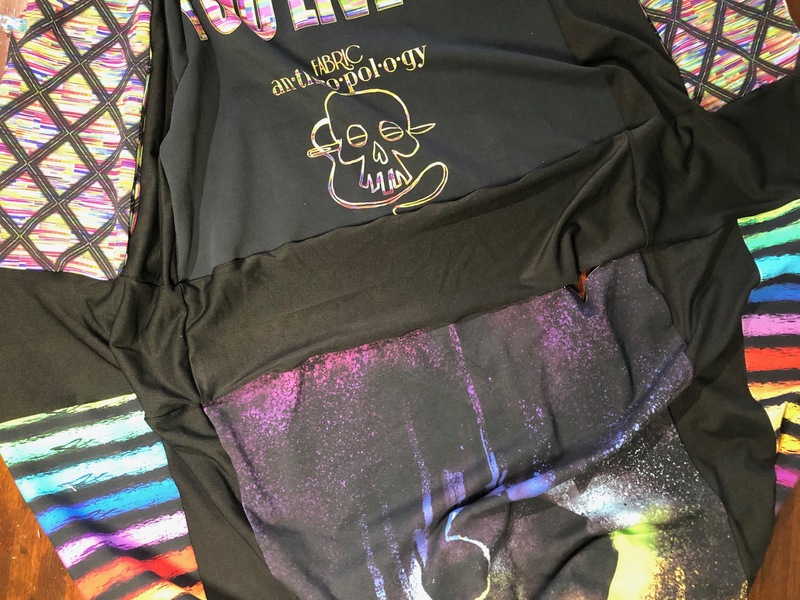 The one I made was designed to be fully reversible, but if you're just looking to simply line with a comfy/soft fabric, the instructions outlined here will work for you! Lets get started! First you'll want to grab your copy of the Summit Peak HERE! 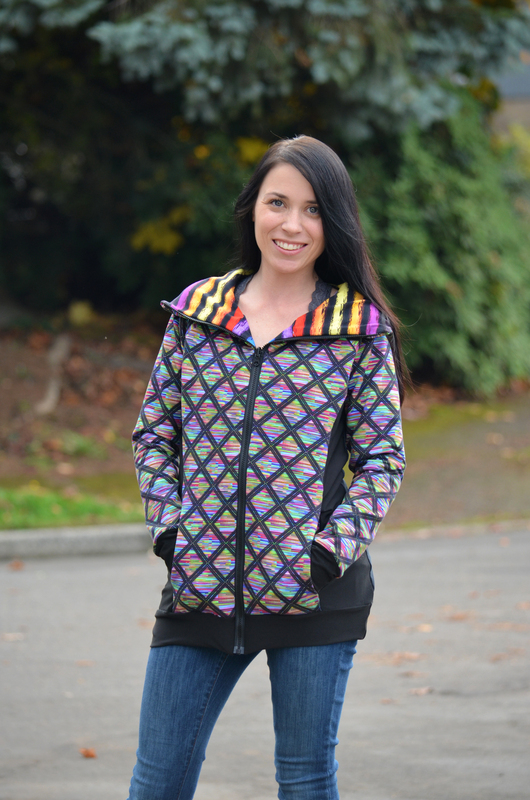 You can do the Women's or the Children's pattern - or both! Fabric for the lining. You'll need extra front bodice A and B pieces, mirrored sleeves and a back bodice. 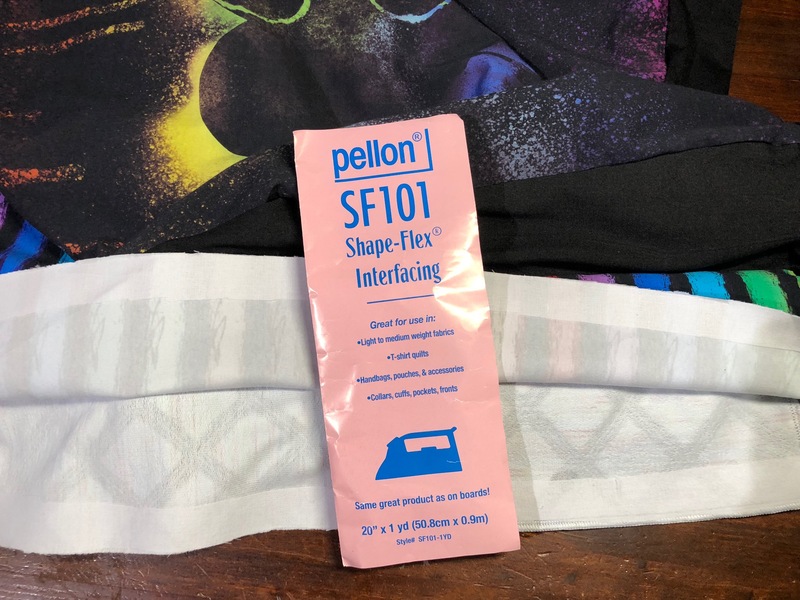 Once you have all of your materials, print, tape and cut your pattern. Cut all of the pattern pieces as described. 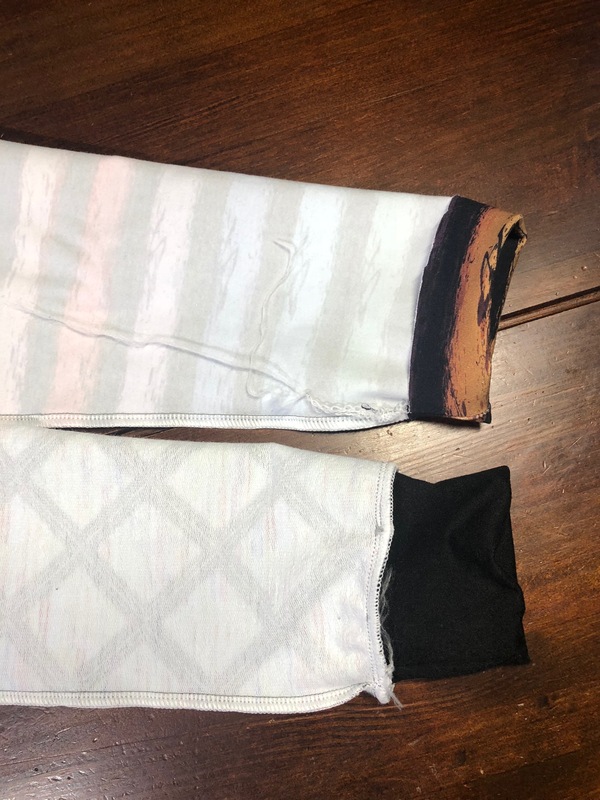 Cut an extra set of Bodice A and B pieces (or overlap your A and B pattern pieces to create a solid front), an extra mirrored set of sleeves and an extra back bodice in your lining fabric. You'll only need one set of cuffs and one set of waistband pieces. 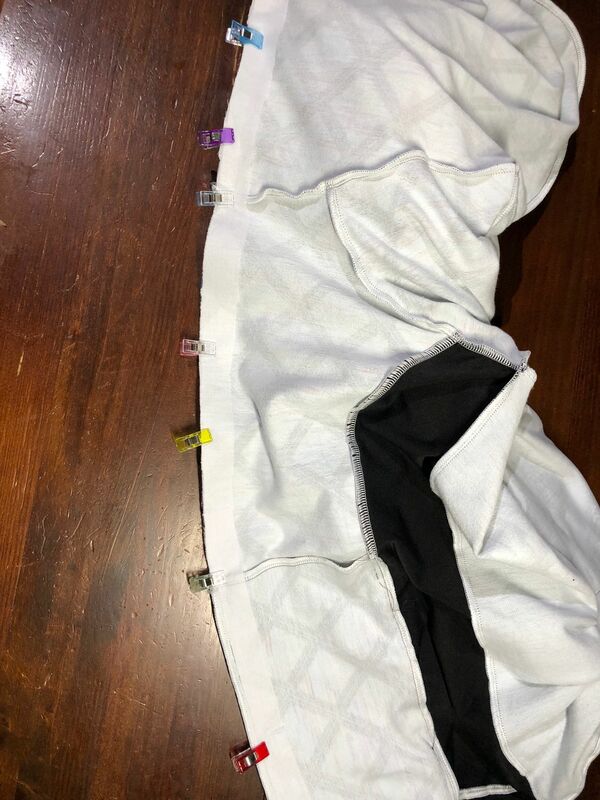 I opted to have a pocket for my hoodie but I only cut one set to keep the front midsection of the hoodie from being too bulky -- I put the pocket on the outer (the one I thought I'd wear the most), and then the pocket can serve as a hidden pocket when you reverse your hoodie and wear the lining out. Once your pieces are cut, you can start sewing your pieces together. 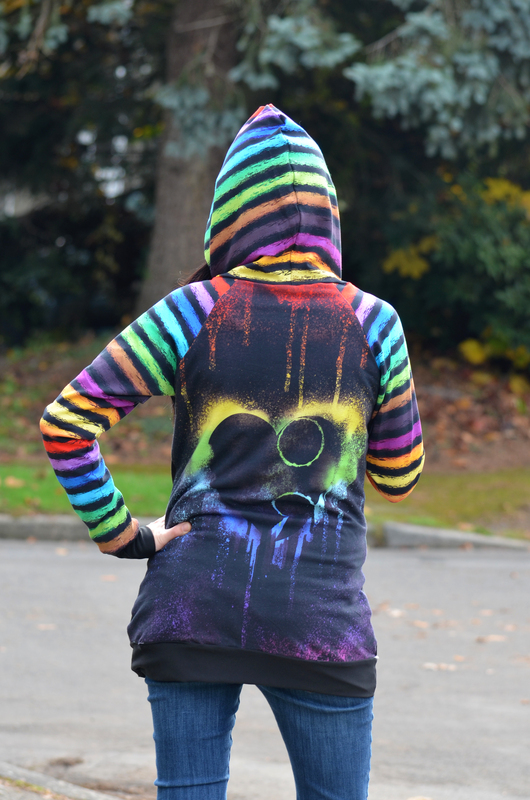 I constructed my hoodie as described in the pattern tutorial until I got to the waistband pieces. Hold off on the waist. So for now, construct and attach your pockets, attach Bodice A to Bodice B for both sides (left and right), attach your sleeves and back bodice. Construct your outer hood and attach RST to the bodice. Sew down the side seams from the sleeve to the bottom of the bodice for both sides (left and right). 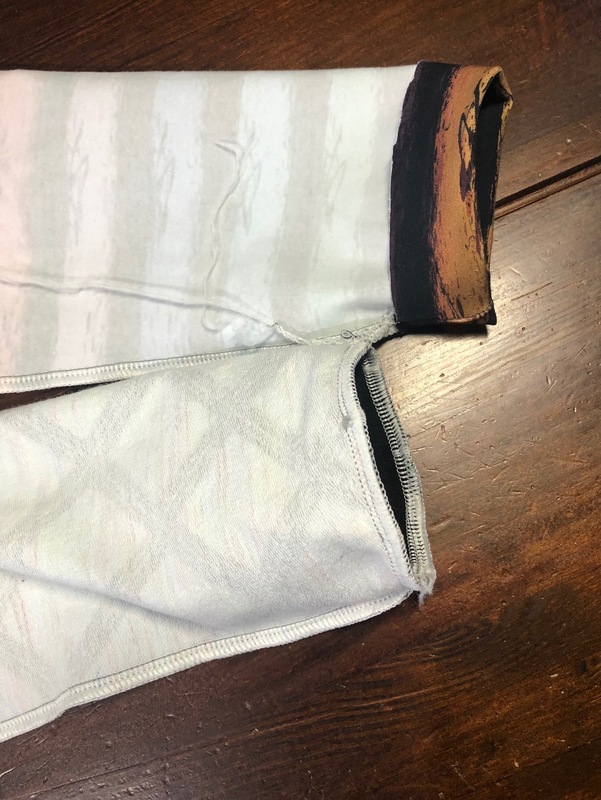 Next you'll construct the lining pieces exactly as you did the outer - remember, I'm only adding a pocket to my "outer" to avoid bulk but you could certainly try it (and report back so I know what you thought of it!!). 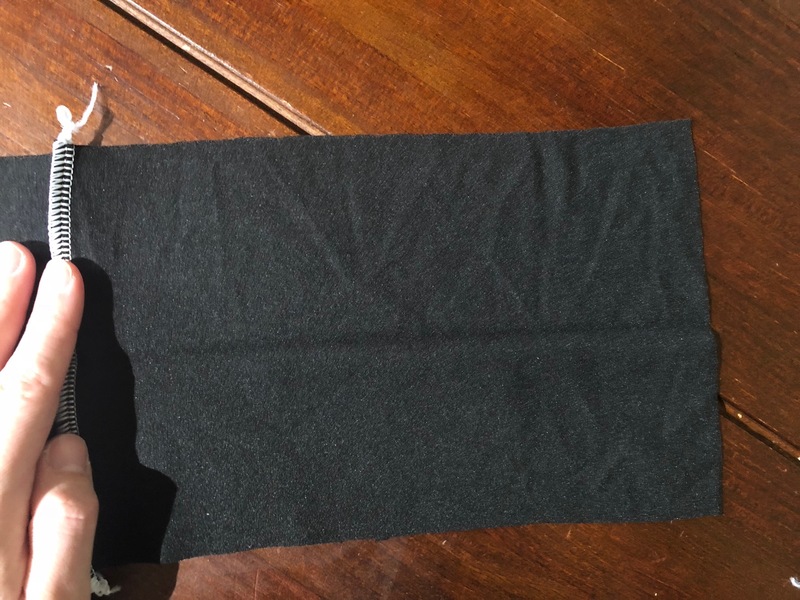 Unfold the waistband (like pictured above) and attach ONE side to the bottom hem of the outer bodice. Pin all the way around and sew. 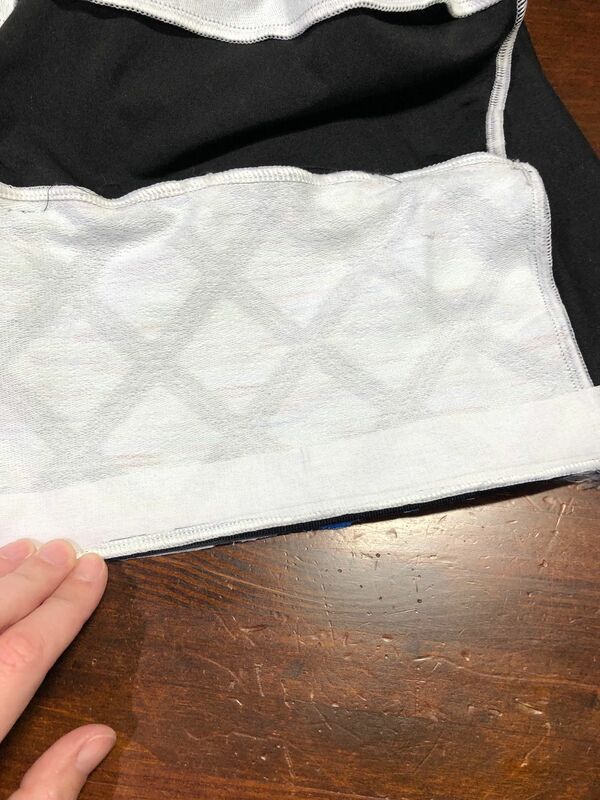 Leave the bottom of the waistband for the lining bodice. Pin or clip the other end of the waistband to your lining bodice, RST. Sew/serge lining bottom hem to the other end of the waistband. Make sure you leave a turning hole!! Pin the sleeve to the sleeve cuff and sew/serge all the way around. Pull the sleeve out and check your work. 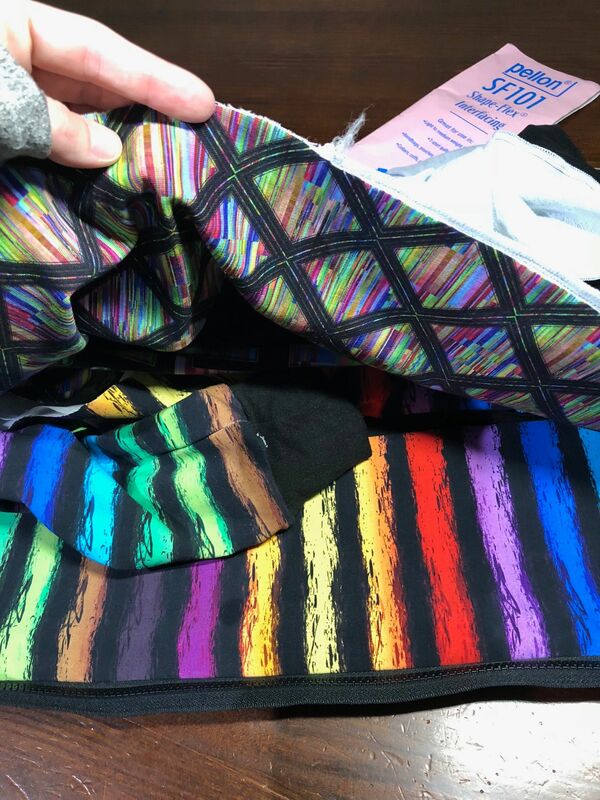 Make sure your lining isn't twisted on the inside. Repeat for the other side. Note: Sewing the cuff to the outer sleeve is optional but I find it easiest to do it this way. 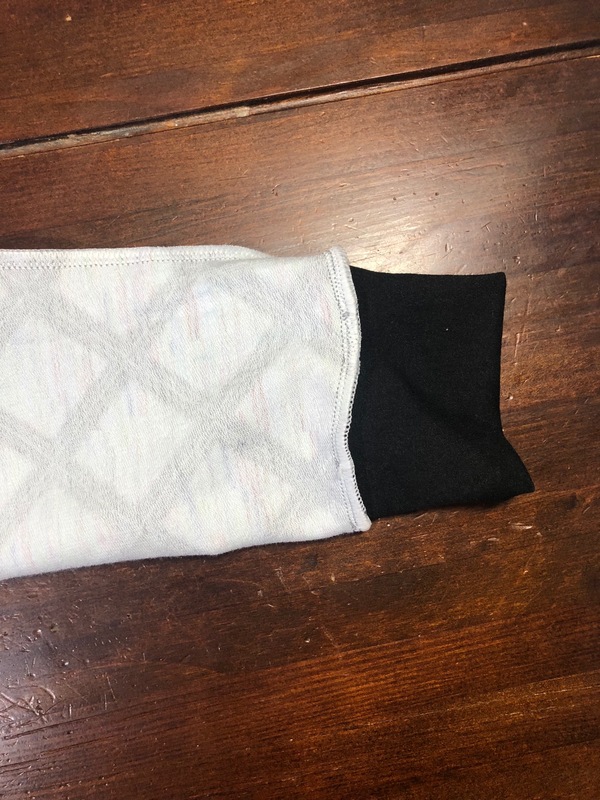 You COULD sandwich the cuff between the sleeves and only sew/serge once, but I find I'll miss a layer on occasion and doing it this way helps prevent that. Here is the video I took (with the help of my six year old!) to help explain what I did here. Hopefully it helps! Once the sleeves are complete, we only need to attach the zipper and finish the hood. We're almost there! I like to attach a strip of interfacing where the zipper will attach on the wrong sides of the bodice pieces. 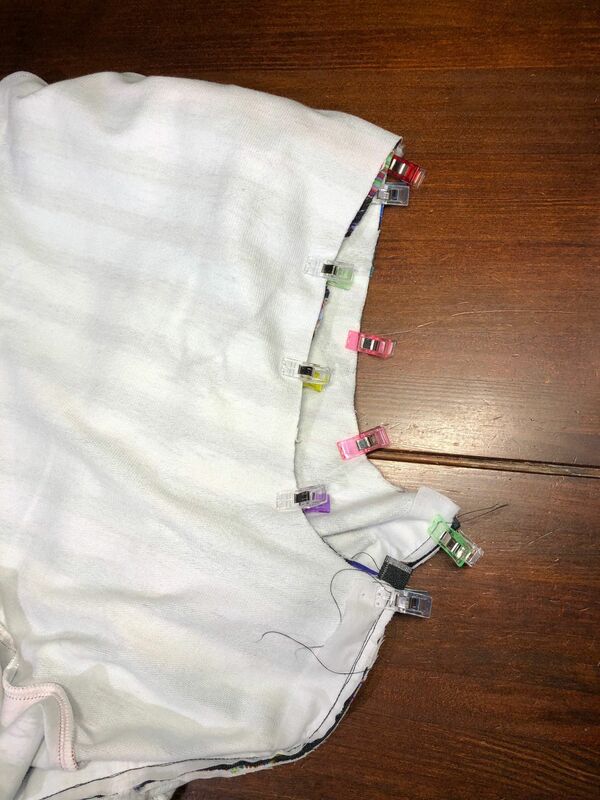 Pin one side of your reversible zipper to the right side of one of your bodice pieces. 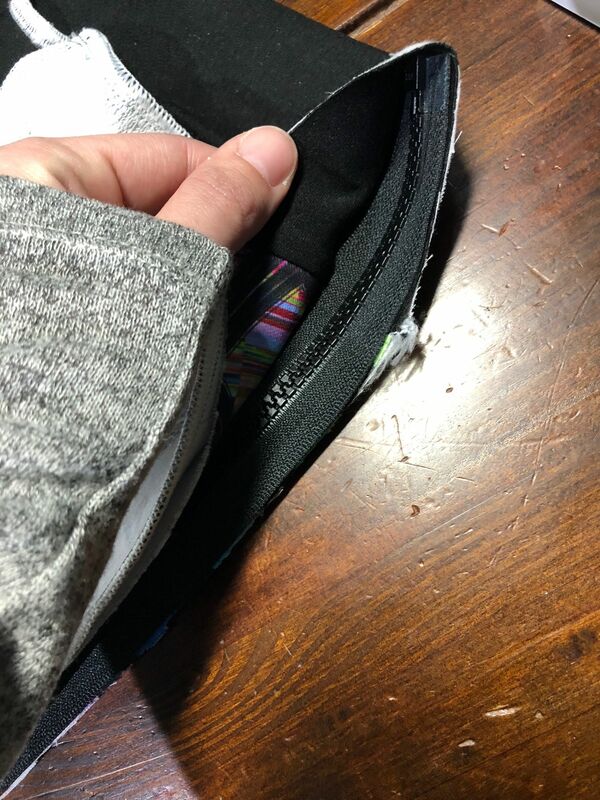 Rest the bottom of the zipper in the waistband crease. 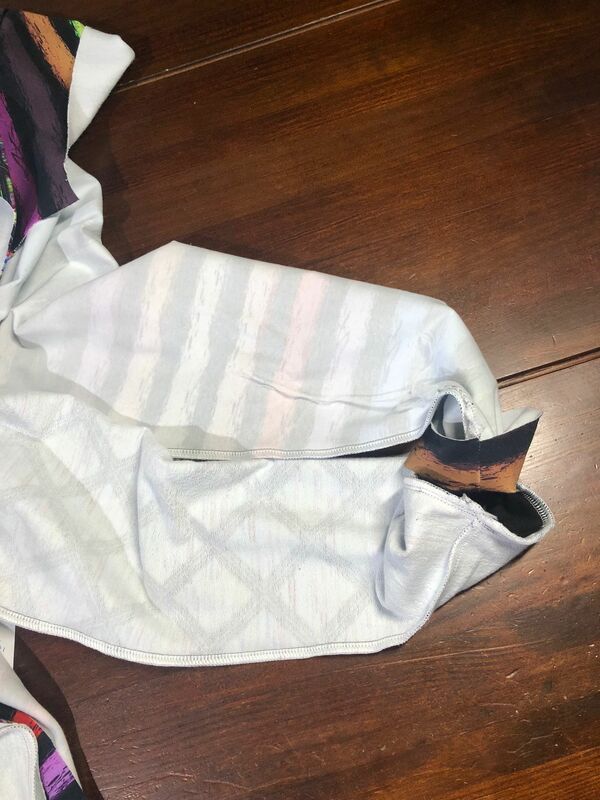 Make sure you do NOT pin/sew to the lining AND the outer. We need to sew them separately. The zipper should be tucked into the crease of the waist. 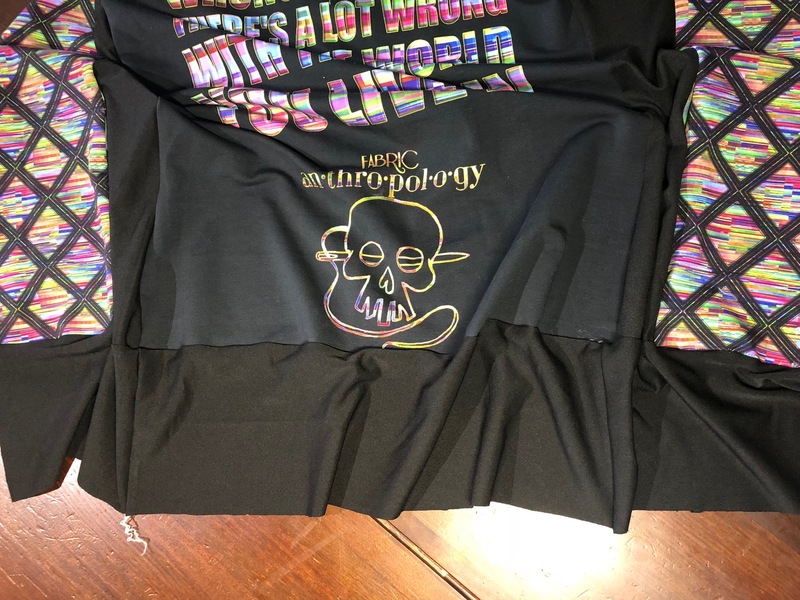 The lining is right on top. Pin/clip all the way up the bodice. 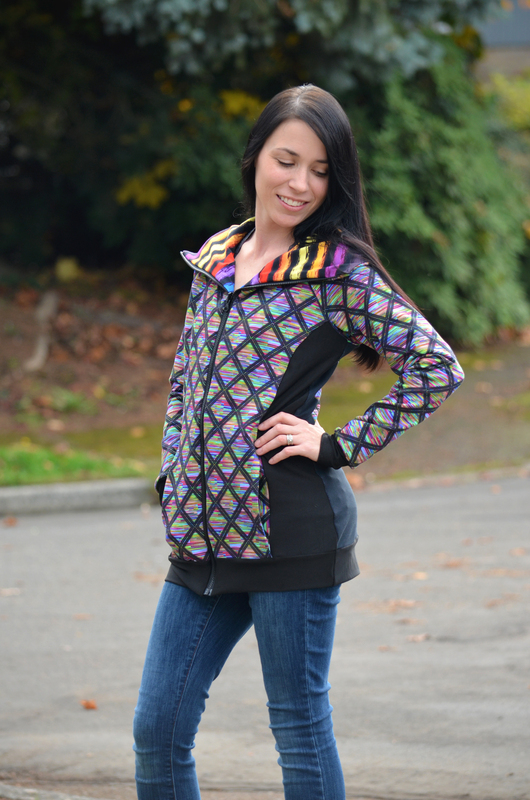 Your outer is already sewn to the zipper and the lining is on top. 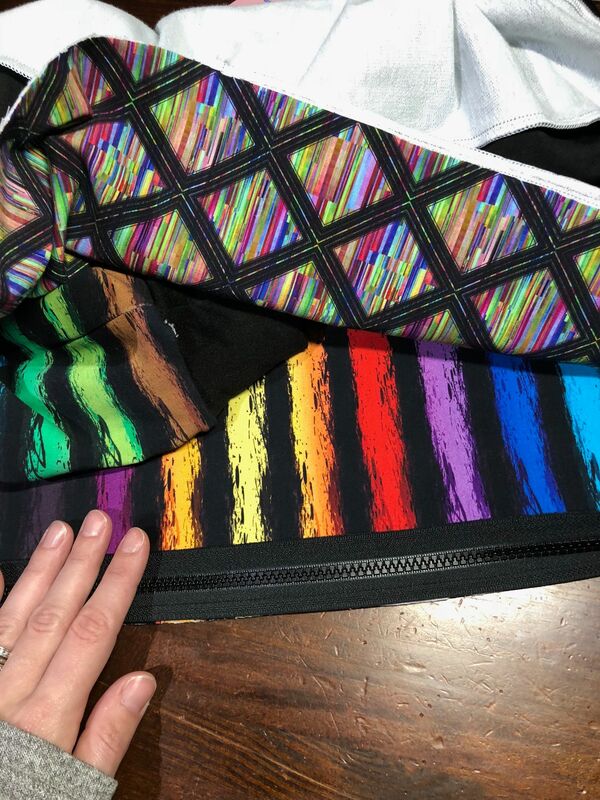 Follow the same line while attaching the lining to the zipper. One of your sides will now be fully lined. Now you need to repeat these steps for the other side of the bodice. 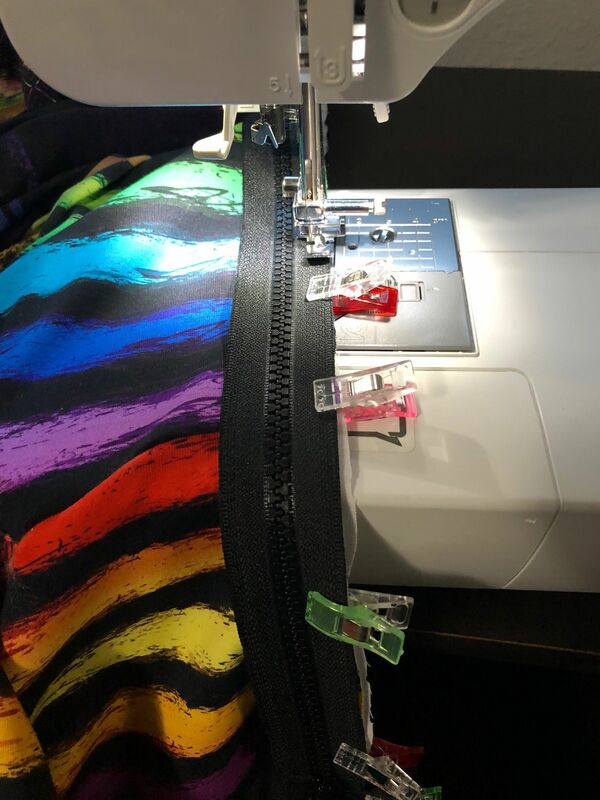 Sew zipper on using a zipper foot. 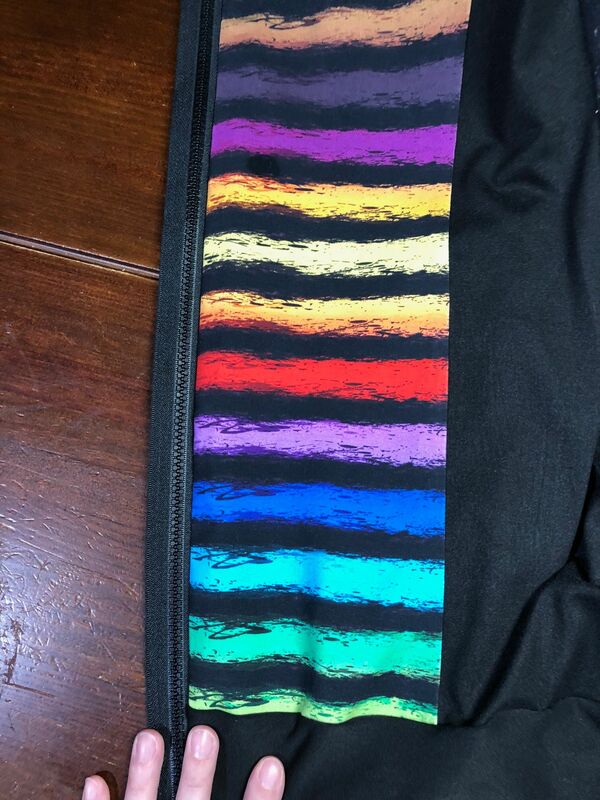 Make sure to backstitch at the bottom of the zipper/waistband. Pull the same side's lining around and pin to the zipper, RST. The opposite side's outer and lining are going to be sandwiched inside. 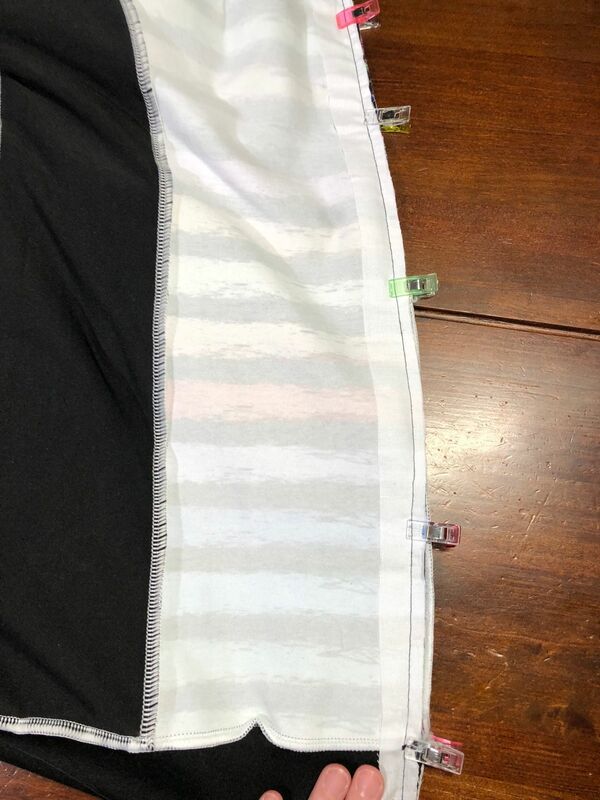 Follow the same sewing thread line you used to attach the zipper to the outer to sew on the lining. 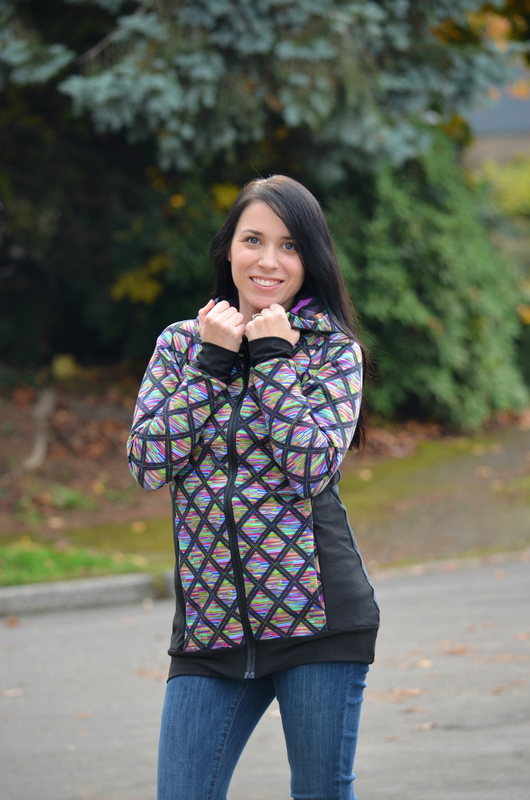 Make sure you catch all of the layers! Pull the hoodie right sides out. Make sure you're happy with your placement. At this point, you could topstitch your zipper down. I chose not to. Turn the hoodie inside out again. Pin the outer hood to the lining hood with right sides together. Sew or serge from one end of the hood to the other. Go slow over the top and stop to adjust if you feel like you're hitting zipper teeth. 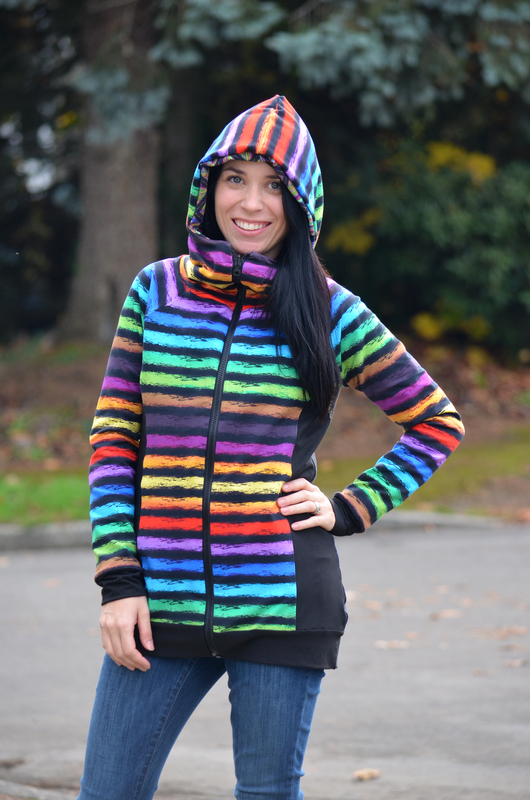 Now you need to pull the entire hoodie out via the turn hole you left in the waistband. 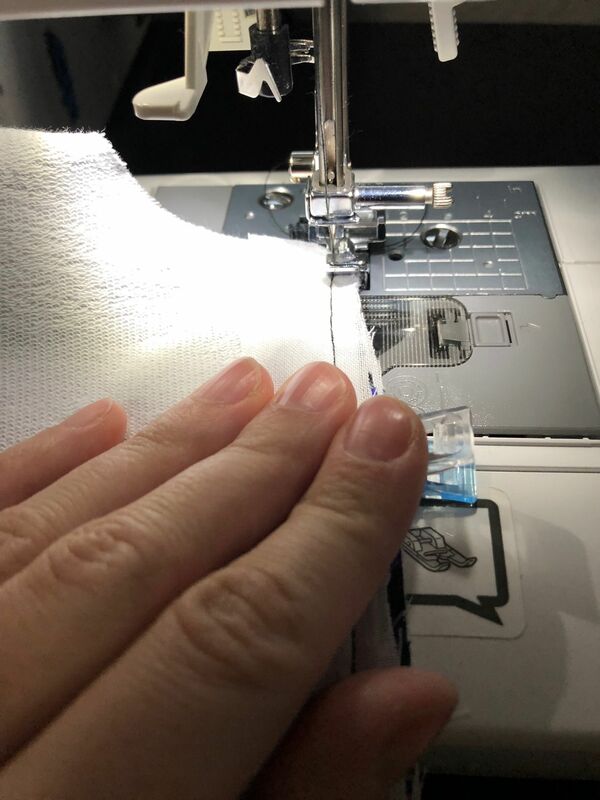 IF you forgot to leave a turn hole, go ahead and pick one now using a seam ripper. 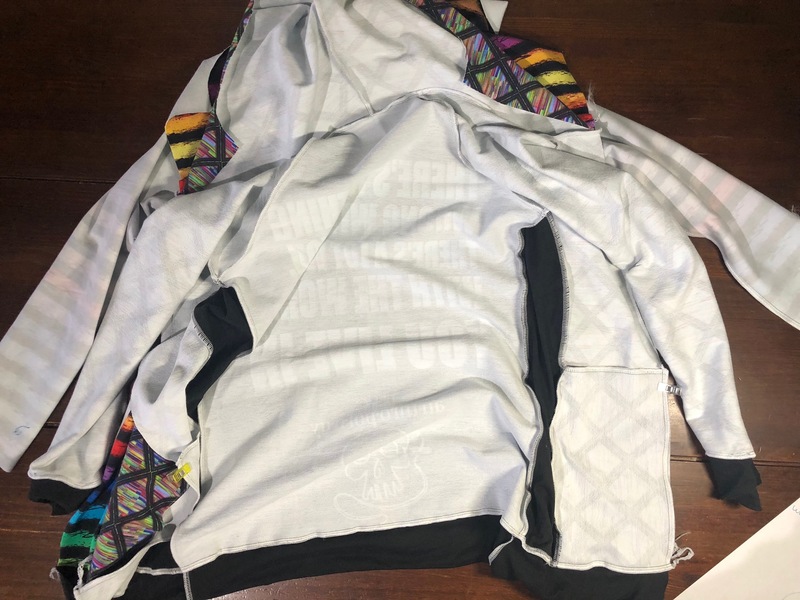 Once the hoodie is right sides out, check it over one more time. Stitch up the turn hole with your sewing machine and you're done! I had to add one inch to the bodice pieces to accommodate the size of my reversible zipper. 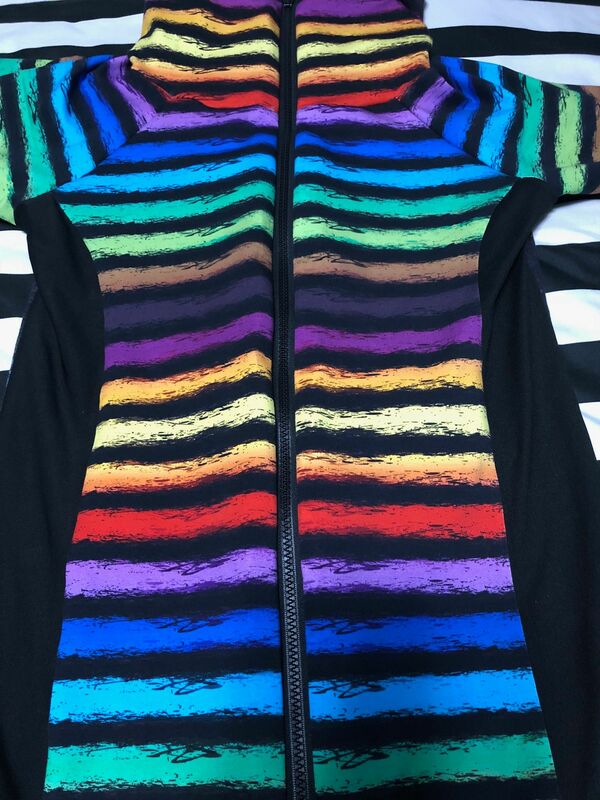 The size 4 required a 29" zipper but I could only find 30" reversible zippers. 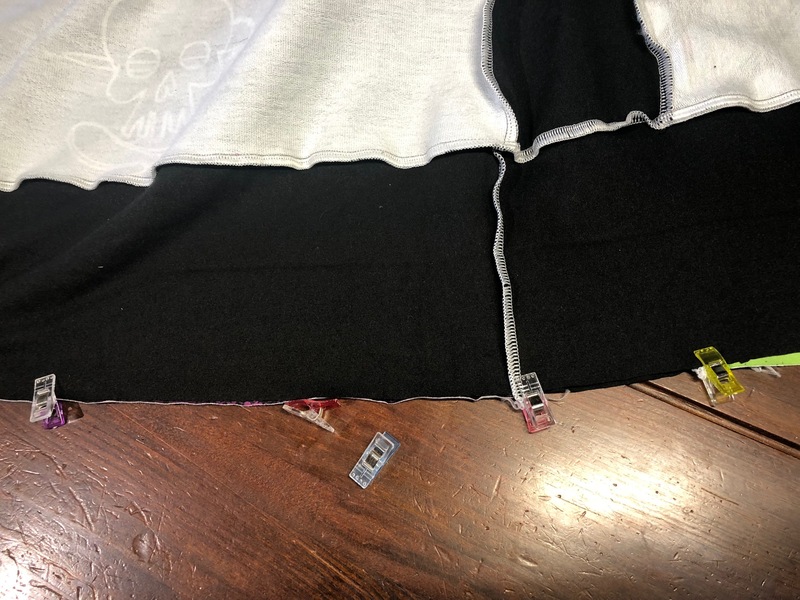 Instead of cutting the zipper down, I added length to the hoodie. Thanks for sticking with me through this and I hope you all find it helpful! Leave me a comment below and I'll give away a mystery pack of knit fabric and panels from the Fabric Anthropology Pride Round, which is open NOW and closes November 24! If you have any questions, need further clarification, or if you'd benefit from more videos on this please leave a comment here or PM me on Facebook! I'd be happy to help! **Affiliate links may be used in this blog to help fund future blog posts! <3 Thank you!! 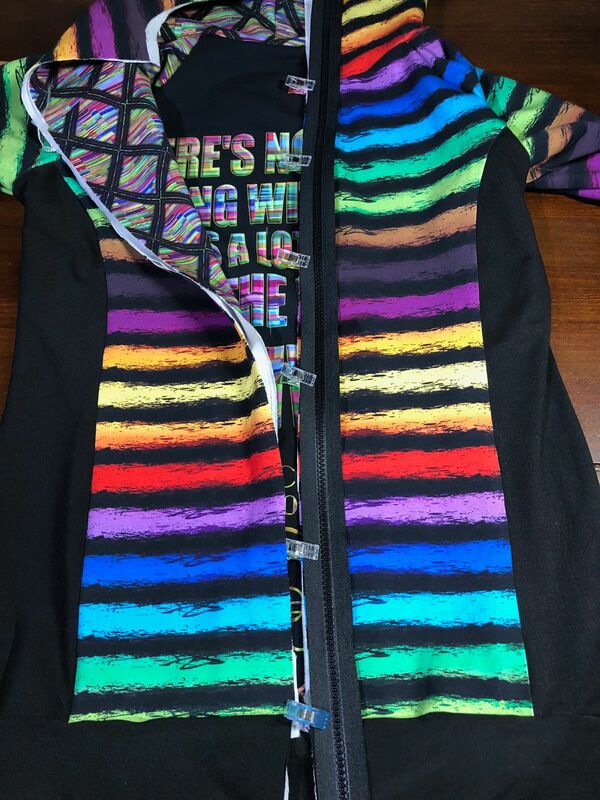 I’ve thought about doing a reversible hoodie, but I never thought about a jacket. Thank you for the idea, and the tutorial! Your jacket looks great! 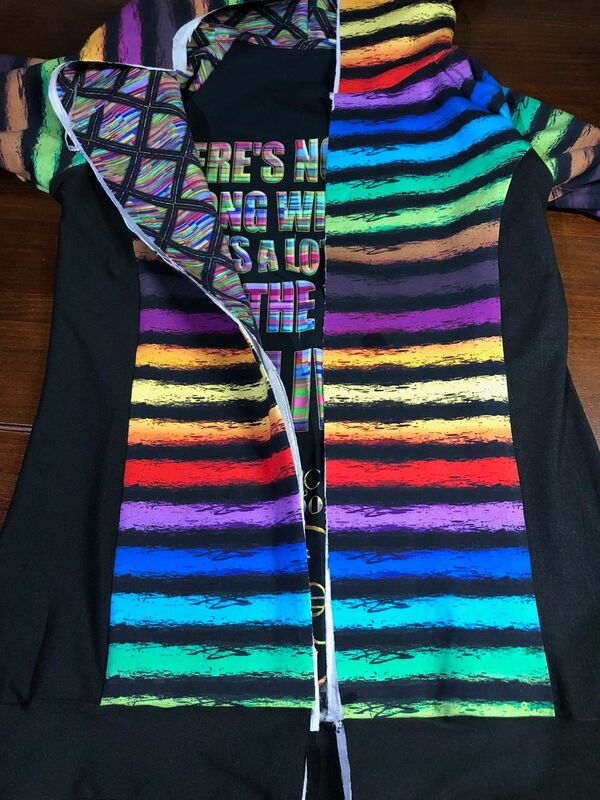 I just finished a hoodie recently and really wanted to make another one, but lined this time. I was hurting my brain trying to figure out how to make it work though. I’m so grateful that you shared this so my brain can rest! 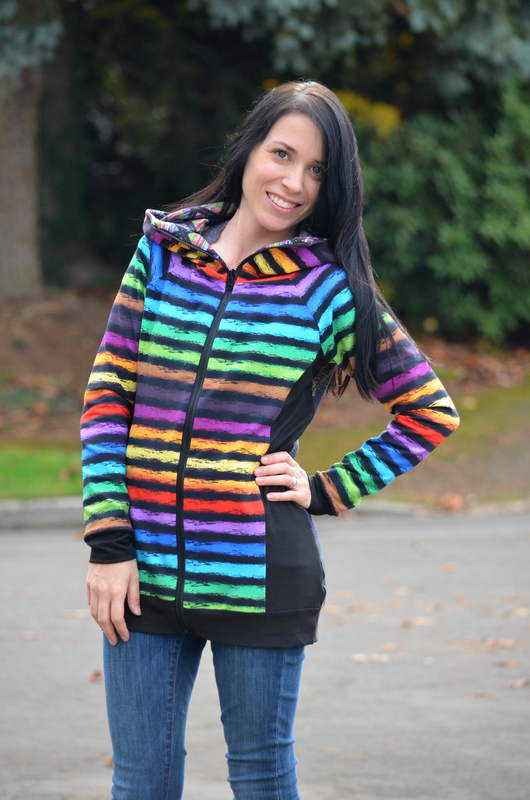 This reversible hoodie is Epic and awesome rolled into one! It almost sounded and looked like making a lined purse/bag, (only harder)! lol I think I had better learn to sew well, one layer first before attempting a reversible. 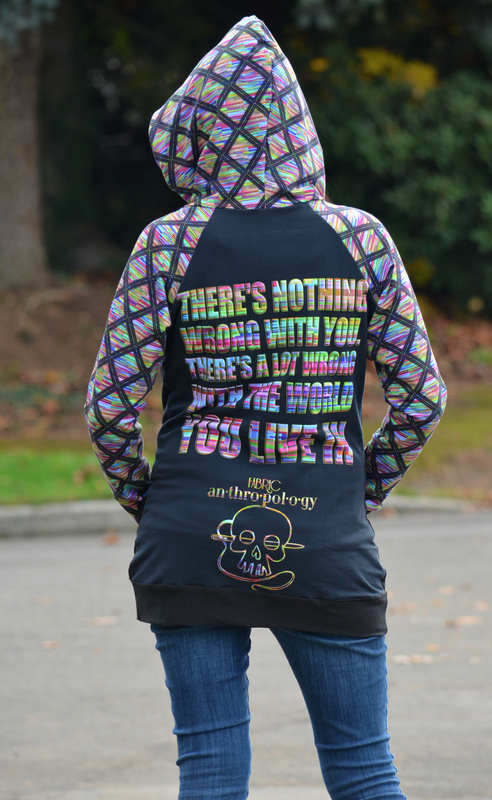 Your jacket really is Epic! 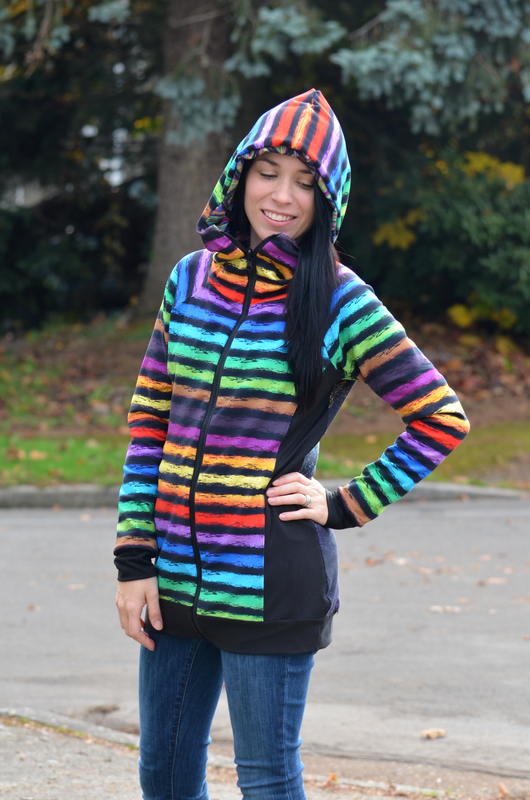 This is such an epic sew! 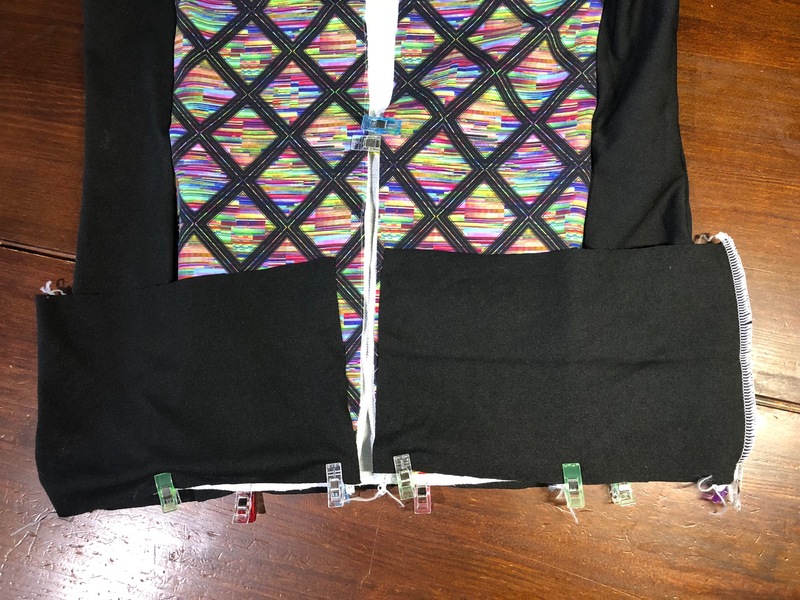 ordered fabric and now need to wait til it comes in so I can follow your great tutorial! THANK YOU! You make this look easy! Can’t wait to try!